AMA originated with members of AOL, the internet service to interact and ask each other questions. The first room was placed in the Romance category. It eventually morphed and appeared in the general chat category. By the year 2000, message boards began to see their own Ask Me Anything threads where specialists in a specific area encouraged posters to ask them questions. Things really didn't hit mainstream until the the Reddit introduction of the "I Am A" subreddit in May, 2009. This isn't so much an Ask Me Anything (but feel free to post questions in the comment section), but Answering Most Everything that's related to cufflinks. I've seen so many questions related to cufflinks that it'll take a serious amount of time to write detailed, in-depth responses. However, this doesn't prevent us here at pranga & co, to provide some quick answers for six of those burning questions. Here you can see that the cufflink matches both the colour and pattern in the tie. What should my cufflinks match from my outfit? There are several possible solutions here. You can match cufflink with shoes, cufflink with tie, cufflink with pocket square, cufflink with suit. 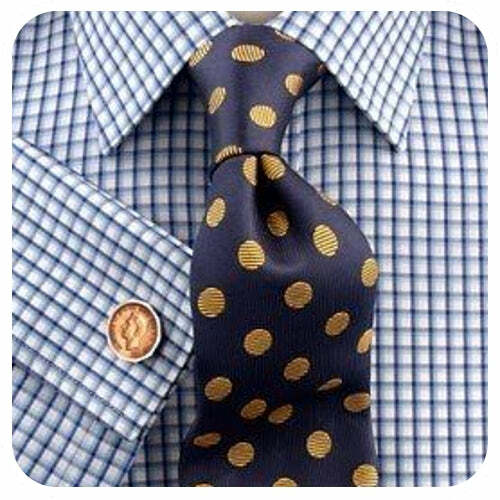 You can even match your shirt with the cufflinks, but consider having several shades between the two so that they can be differentiated. Just about anyone. Women, girls, men, boys. Cufflinks don't care about gender or age. Can I wear cufflinks with a regular shirt? Yes, BUT only if there is a hole beside the button on your shirt cuff. 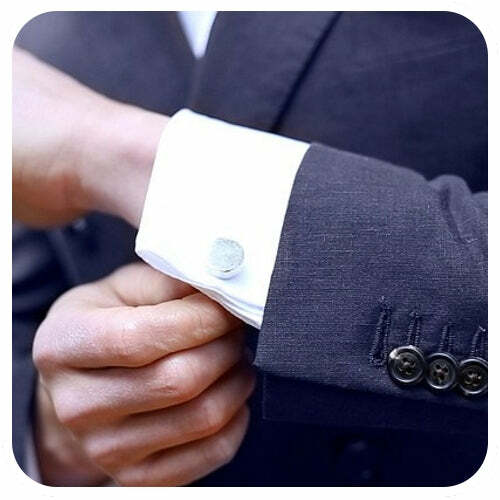 This will mean that there are two holes that the cufflink can pass through and you can indeed wear them! These type of shirts are referred to as convertible cuff shirts as the button up and can use cufflinks. Are cufflinks supposed to show? You wouldn't have your jacket sleeve this short normally. It has been pushed back and the shirt sleeve pulled out specifically to show off the cufflink for the photographer. This is the idea situation of how one would normally be wearing a shirt and jacket. This is the "natural" state and ratio of a shirt sleeve to jacket sleeve. 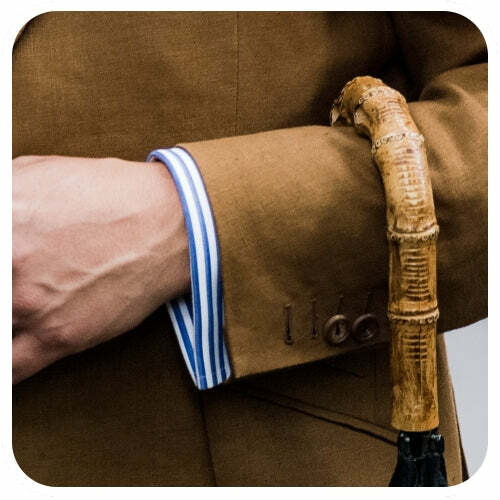 You can clearly see that the person is wearing a shirt that uses cufflinks. Traditionally, yes, but just enough to see that you're wearing them. However, don't be too concerned if your shirt/blouse sleeve doesn't peak out from your jacket or blazer. If you want, you can pull the sleeve further out or push the jacket sleeve up. Either way enjoy wearing cufflinks for your own personal pleasure. Are cufflinks too formal for work? Generally speaking no, but that depends on your work. If you're a pool lifeguard, then, I'd say yes. If you work where people can wear long sleeve shirts/blouses, then no, they are not too formal. Are cufflinks appropriate for a job interview? Yes, unless you're specifically told to dress a specific way, cufflinks are great to wear to a job interview. Got a question about cufflinks? Post it in the comments below.